The family that founded Vermont’s first television station, WCAX-TV, has agreed to sell it to Atlanta-based Gray Television for $29 million, the buyer announced Thursday. Established in September 1954 by former newspaperman Charles Hasbrook and his stepson, Stuart “Red” Martin, the South Burlington-based station has remained in the family for the 63 years since. Martin’s son, Peter, currently serves as president of parent company Mt. Mansfield Television, and his grandson, Alex, is executive vice president. The 76-year-old president, who co-owns the station with three siblings, first worked there after school when he was a 15-year-old mimeograph operator in 1955. After stints in the U.S. Army, as a Montpelier reporter and as executive assistant to Republican governor Deane Davis, Martin returned to the company in 1973 and has been there ever since, succeeding his father as president in 2005. He plans to retire at the end of May. “The station will go on without us,” Martin said, adding that he was “still processing” the change. In a memo sent to employees Thursday morning, Alex Martin called the decision to sell “unfathomable” and “dizzying,” but he said the family had “done all that we can do with WCAX.” In a period of “ferocious consolidation,” he wrote, Channel 3 would be better off in the hands of a larger company that was better equipped to negotiate with networks, cable companies and satellite TV providers. 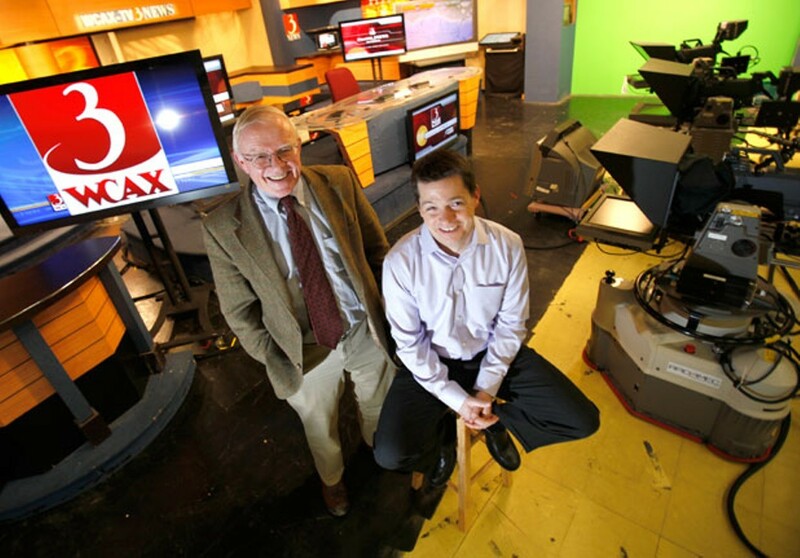 According to Peter Martin, Gray Television will take operational control of WCAX on June 1. The two companies hope to close on the sale two months later, he said. In Thursday’s memo, Alex Martin said there would be no immediate layoffs or changes in pay, though he said that he, his uncle Peter and business manager Peg Doolin would all leave the station. Gray, which owns 100 TV stations in 56 markets, has been on a buying spree of late, according to Broadcasting & Cable. It has recently purchased stations broadcasting in Alaska, Wisconsin, Illinois and Iowa. In the memo to employees, Alex Martin said his family was “not going to sell WCAX to just anyone.” He hailed Gray as “quality owners” who would “take care” of the station’s legacy and employees. “Gray does not want to mess with what has made WCAX successful for more than half a century,” he wrote. Vermont Secretary of Agriculture Anson Tebbetts, who reported for Channel 3 from 1994 to 2006 and served as news director from 2009 to 2016, said the state “owes a debt of gratitude” to the Martin family. Corrected May 5, 2017, at 9:36 a.m. to note that Peter Martin is Alex Martin’s uncle.